All across the state of Nevada, people in need of emergency cash know where to go when they need it. A title loan, payday loan or a signature installment loan from Nevada Title and Payday Loans, Inc. could help you meet some of your financial challenges. With our experience and professionalism, we can help you get a car title loan, signature installment loans or payday loan that works for you in 30 minutes or less. Get started today! With our statewide network of convenient locations, you can find a Nevada Title and Payday Loans, Inc. location right in your neighborhood. Why Choose Nevada Title and Payday Loans, Inc.? Here at Nevada Title and Payday Loans, Inc. we are dedicated to providing you with competitive title loans, payday loans, and signature installment loans. We offer title loan amounts up to $15,000 on any year, make or model of your owned vehicle. For payday loans, we offer cash amounts up to $500. For signature installment loans, we offer up to $1,250. You can keep driving your car while repaying your title loan. Our experienced and professional staff is dedicated to providing you with the best customer service possible. We believe you should be treated with the respect you deserve. 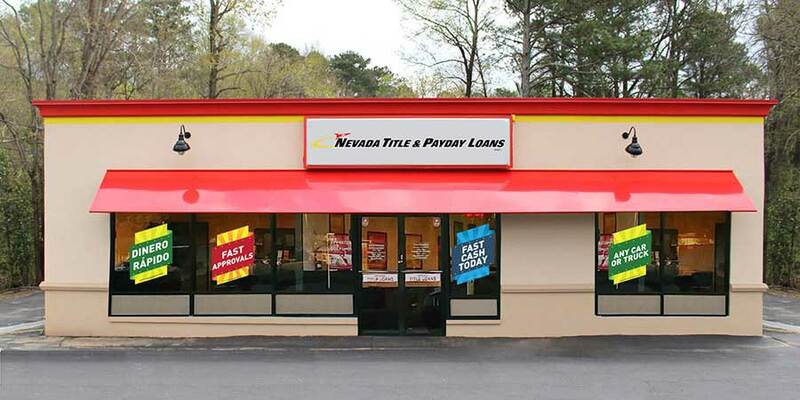 Your local Nevada Title and Payday Loans, Inc. store can deliver the loan you need today! For same day cash, there's no easier way to get the cash you need. Here at Nevada Title and Payday Loans, Inc. we are committed to providing our customers with great customer service. We have a team of knowledgeable, experienced representatives that work hard to help you get the title loan, payday loan or signature installment loan cash you need to help with financial challenges. Get started now by filling out our simple online request form, and let Nevada Title and Payday Loans, Inc. help you get the extra cash you need.